How Much Do Branch Campuses Really Matter? So, do branch campuses really matter? What should we make of the news this week that Michigan State is closing its Dubai campus? In my view, not too much. If one satellite campus’s demise meant that others were bound to fail, MSU would never have ventured into the United Arab Emirates in the first place. It is no secret that foreign branches don’t always work out. The boom in U.S. branch campuses in Japan in the 1980s ended in a whimper, with only Temple University’s outpost left standing. In the late 2000s, a branch of Australia’s University of New South Wales didn’t last past its first year in Singapore when enrollment projections didn’t pan out. Early last year, George Mason also abandoned its small campus in the Emirate of Ras al Khaimah over disputes with its partner, the for-profit firm Edrak, over how soon the institution might reasonably be expected to turn a profit. And some branch campuses are stillborn; in 2005, the year before Nigel [Thrift] became vice chancellor, the University of Warwick abandoned its ambitious plans to create a satellite campus in Singapore amid faculty concerns over academic freedom and financial viability. Yet other satellite campuses seem to be doing very well, thank you, from the University of Nottingham’s branch in Ningbo, China, to the assorted U.S. boutique elites, including Georgetown’s School of Foreign Service and Northwestern’s Medill School of Journalism, congregated on the edge of Doha in Qatar’s Education City….The bottom line: Branch campuses are at heart entrepreneurial ventures. Some will succeed, some will fail, and it will take time for universities to figure out which models, if any, are best replicated in which locations. Many of these branch campuses are located in ‘education hubs’ (see previous post on this point), and enjoy substantial subsidies from ambitious governments. 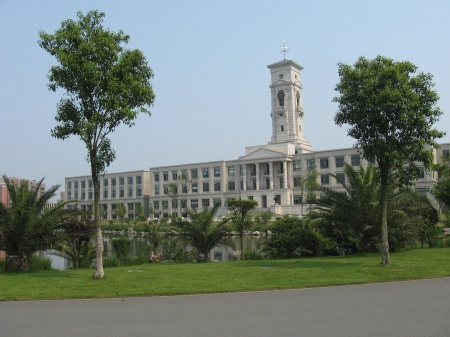 However, some campuses are different and, of course, I would argue that the University of Nottingham Ningbo China, rightly identified as successful above, and the University of Nottingham Malaysia Campus represent something significantly different from the standard branch campus described here: they are integral elements of the University. So, in Nottingham’s case, even if not for others, these campuses really do matter.